DON'T RELY ON YOUR SAT NAV! Satellite Navigation systems are unable to find our postcode and will lead you to a dead end miles from our farm! We recommend using the junction between Eaves Knoll Road and Apple Tree Road as your destination as Sat Navs can find this. 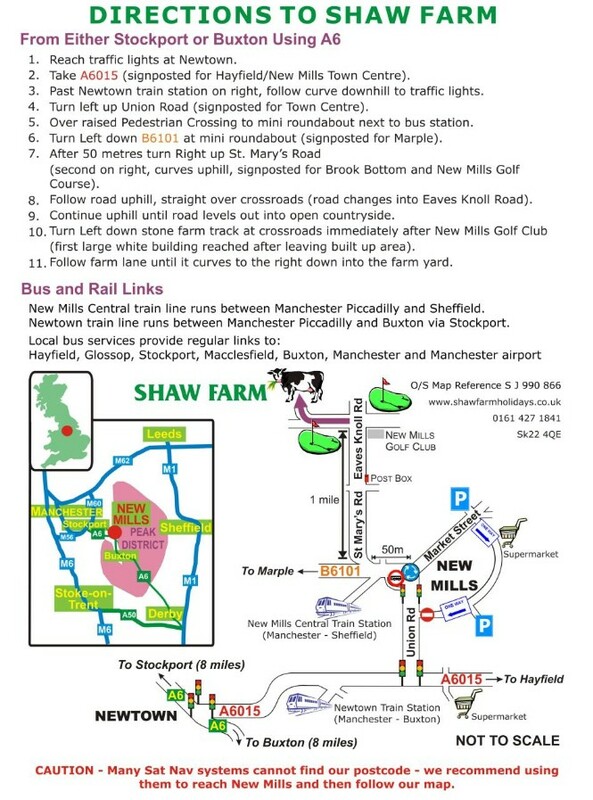 This is the location of New Mills Golf Club and is situated at the end of our farm lane. To reach us just drive from here down our farm lane which runs by the side of the golf course.